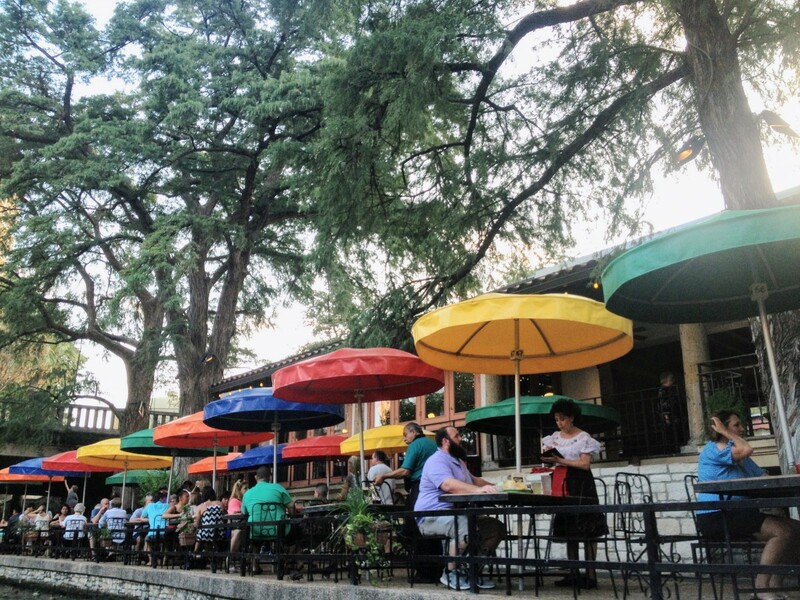 A short walk away from the Alamo is the San Antonio River Walk, a snicker of magic. Cloaked in colour, music, and the ecstatic buzz of families, the Riverwalk casts a spell along its three-mile loop, sprinkling a little Venetian charm onto an all-American pathway. I can’t even begin to list the number of things to do at the River Walk. From cruising in a tour boat to watching a show in a quaint, outdoor amphitheatre, the possibilities are endless. But I guess, those possibilities are part of the reason the River Walk hosts so many tourists each year. 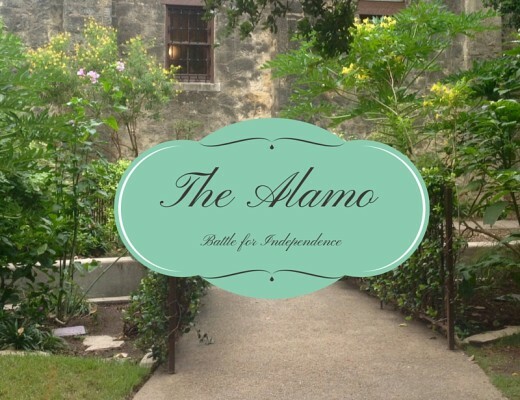 Peppered with fine-dining, classic Western shops, and beautiful boutique hotels, this historic stop is a must-see in San Antonio. And I’ve finally curated a little guide (okay, that’s a lie. A really big guide) that contains all the top things to do at the River Walk including where to eat, where to shop, and where to stroll. Let’s dig in, shall we? Side note, before we get started. I have prepared a custom Google Map for all you lazy – ahem, busy – individuals. Don’t feel bad. I’m in the same boat as you. I like having everything in one place when I’m planning a trip too. This map shows the location (and a tiny description) of all the places mentioned in this post. If you would prefer, you can just scroll through here for all the things to do at the River Walk. But if you are looking for more detailed descriptions (and mini side-rambles), jump below for the “grand tour”. As a broke college student, there is nothing I love more than free things. A little creativity, an empty wallet, and a short day trip to San Antonio, led me to discover all these free things to do at the Riverwalk. At night, the San Fernando Cathedral transforms into a theater screen as the walls are used to project an artistic light show. A 24-minute experience unlike any other, the lights dance along to the history of San Antonio, segueing from old-time San Antonio to the present day. The show is designed by Xavier De Richemont, a French Artist who makes an occasional summer appearance. Titled the Saga, the San Fernando Cathedral Light Show, takes place at night, when the colours shine against a pitch black, on Tuesdays, Fridays, and weekends. Show times are every thirty minutes from 9:00. First of all, let me just say that the tiny graffiti men in San Antonio are really hard to find. This close-to-impossible scavenger hunt features scouring pillars for graffiti dudes in different sizes and positions. I tried to search through Reddit for all the locations and only found one response – no, cheating. Searching for tiny graffiti men is a weird challenge (I know), but completely free and completely fun. Besides, it’s a great way to soak in the tiny details of the River Walk. 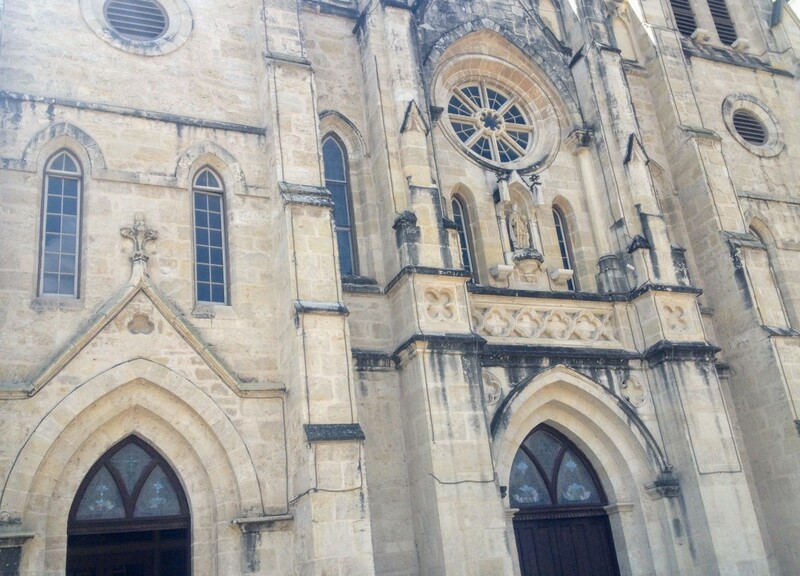 In the Texas heat, walking to the Grotto seems like a death sentence. But a hundred water bottles and three hats later, I realized the stroll is absolutely worth it. The Grotto is a quirky cavern-like sculpture featuring engraved faces. A mini-waterfall pouring from its mouth, this abstract homage to San Antonio by Carlos Cortes is a mix of queer and fascinating. San Antonio is an incredibly romantic city (this would be a great Valentine’s Day destination, by the way) so I wasn’t surprised to find a love lock bridge lurking around the River Walk. I guess, San Antonio is the real Paris of Texas (step aside, Paris, Texas – you have the name but San Antonio can actually play the game). By the River Walk, I sat down and ate. If you didn’t get the reference, we can’t be friends anymore. Sorry. Relationship over. Just kidding! You didn’t think you could escape so soon, did you? If you haven’t read the book by Paulo Coelho though (the actual title is By The River Piedra I Sat Down And Wept), I highly, highly recommend it. Like all of Coelho’s other books, it is so incredibly philosophical and poetic, my brain wanted to oscillate between happy dancing and complete meltdowns while reading it. But I digress. Next up, we are going to eat near the River Walk, where restaurant is followed by restaurant is followed by restaurant. Choices. Choices. Choices. I know, it is all so completely delicious, we just can’t pick one. So I have chosen a few River Walk restuarants for us to visit. Ready? Let’s go grab some food. Bella on The River is the stop for fine-dining. Perfect for date nights and anniversaries, this haute-cuisine location executes Mediterranean food with finesse. A stop for seafood lovers and anyone willing to break their bank. Acenar toys with contemporary Mexican cuisine. The interior design plays with geometry and symmetry. Long tables serving tasty pick-me-ups makes this one of the top foodie things to do at the River Walk. I don’t even know how to describe Casa Rio. I guess, I’ll start by painting a scene for you. 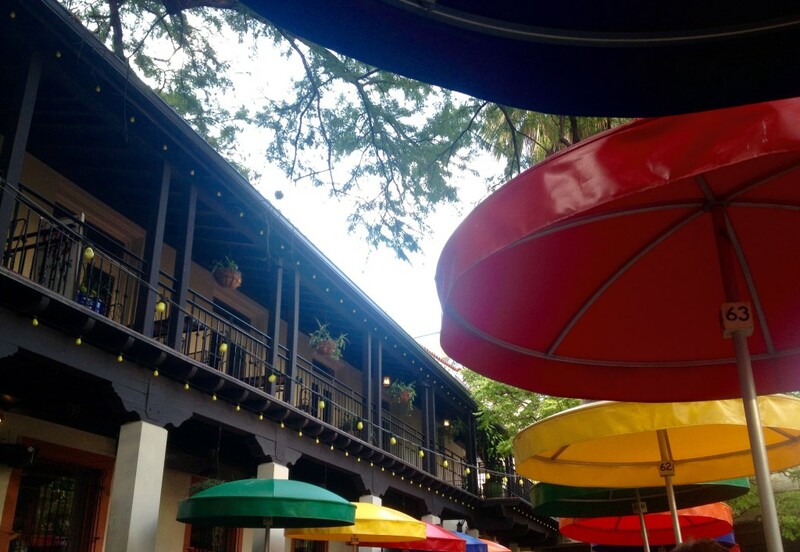 The weather is hot, the air is dry, and it’s loud and crowded, but we will bear it all because Casa Rio has the most gorgeous umbrellas in their outdoor restaurant. The colours are plucked fresh off the rainbow. Orange. Blue. Red. Yellow. Green. The sequence extends until the umbrellas seem to be just little dots of colour floating in the distance. I’m serious, this is colourful and lively enough to be the background of a Bollywood film. And the view is amazing. Did I mention that? We sit down at a small table and look over at the water. Baby ducks waddle around after their mother (who doesn’t love baby ducks?). A river boat gently cruises by and we can hear snippets of the tour guide’s speech. The waitress comes over, smiles, and serves us some chips and salsa as a starter. We take a bite and enjoy the view. A mariachi band strolls past us and starts singing to a young couple celebrating their anniversary. The rhythmic strum of the guitar and the trio’s loud, rich voices carry over. The song is pleasant and sonorous and upbeat and the Spanish lyrics flow smoothly across the space. You can’t help but smile. The food arrives. First up, a small bowl of chili con queso. It’s salty and the meat is dry. But no matter, let’s try again. Enchiladas, anyone? No. The food is still salty and cold and tough. Okay, for a restaurant…the food isn’t too amazing. I’ll admit it. But I chose it for a reason. How often do you get to eat a piece of history? Casa Rio is a family restaurant that has been around since the River Walk became well, the River Walk. And if it’s any consolation, they have really good Virgin drinks. Their pina coladas are so spot on and refreshing, it completely makes up for the lack of food. Maybe we ordered the wrong thing and there is a “wow” item on the menu. Maybe the food just isn’t great. But as the sun sets and we look over the river and then down the path, we see a view that is unforgettable and we know we are in the right place. The way stores are scattered around the River Walk is sporadic. There are pockets of stores hidden amongst the impossibly, large number of restaurants. Somehow, amidst ambling and strolling, I managed to find a few shopaholic-style things to do at the River Walk. Rebecca Bloomwood would be proud. The Shops At Rivercenter, a collection of storefronts, has it all – high end stores, chain restaurants, and even the one tourist shop (Life In Alamo City). This is your average American mall, but that doesn’t mean it isn’t worth a stop. 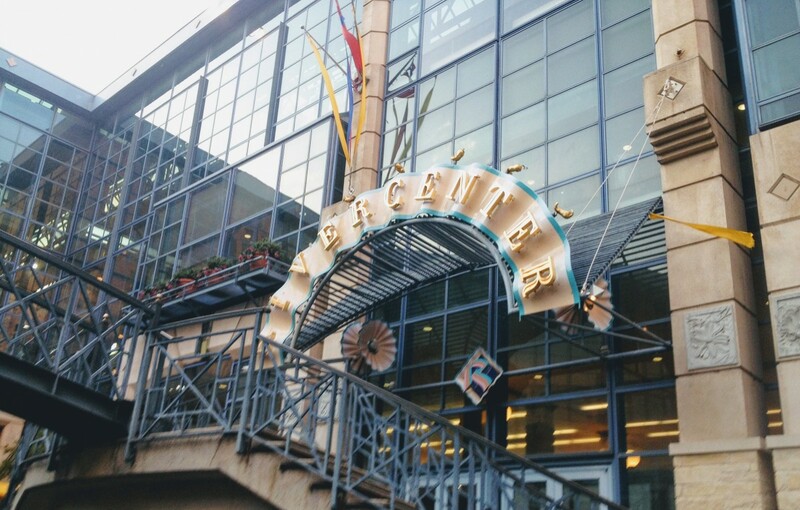 Visiting the River Center Mall is a really good way to get an idea of the local culture and chat up a conversation with a store owner, which can either go really well or be really embarrassing. The ultimate tourist shop at the River Walk, Five and Dime is the best place to find magnets, cups, teddy-bears, and any other souvenir your heart desires. The lines for the RioCruise Boat Tour are ridiculous. But as the tour starts, our perspective shifts. The guide is hilarious, the scenery is drop-dead gorgeous, and the history goes well-beyond what I could find in any guide-book. At $12.00 per person, the RioCruise Boat Tour is a ride that I would totally indulge in again and again. 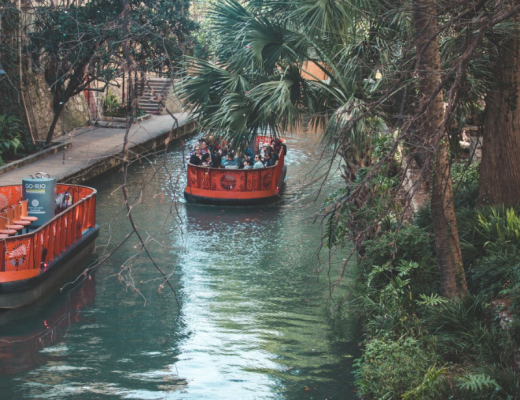 I love the idea of casually gliding on the River Walk, discovering the history of all the hidden gems, and adding a few experiences to my San Antonio bucket list through the tour. The Arneson Outdoor Theater is a beautiful open-air theater which typically features some outdoor movies or plays or performances. Most of the performances are free. I’ve actually never been to a performance or movie screening there that wasn’t free (now that I think about it). Occasionally, there is a suggested donation, which is why I put it in the category of things to do at the River Walk that are worth every penny. This is a free to visit Convention Center. You’re probably thinking – Anshula, why are you putting all the free things to do in this portion? Well, parking costs if you choose to visit the Convention Center by itself. Would I suggest that? No. Walking saves you a lot of money (and burns a lot of calories). 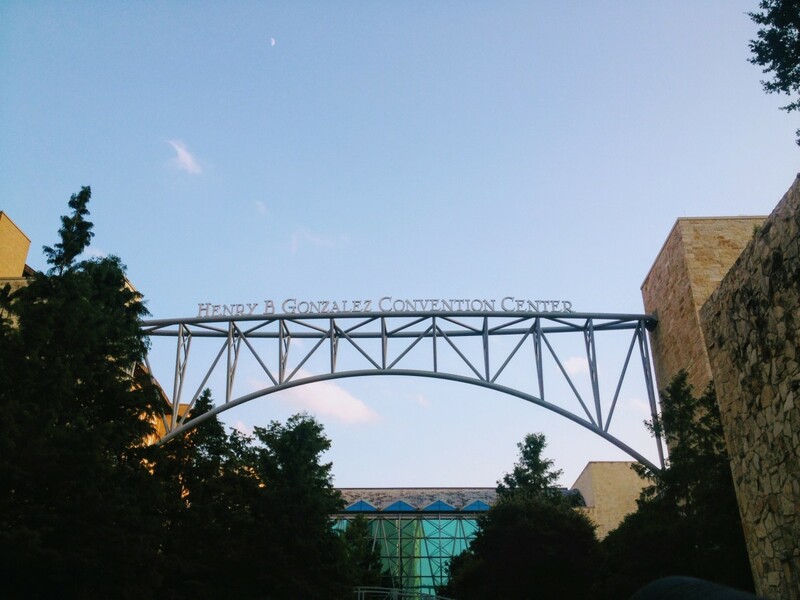 The Convention Center is an attraction that you can miss on a first visit to the River Walk. But I wanted to give it a shout-out because I just love all the art installations inside. Yes, I’m one of those crazy, art-obsessed people which is why I, personally, made it a must-see. Finally, don’t miss out on The Brisco Western Art Museum, a collection of artwork that captures the essence of the Old American West. Again, I’m an art-loving soul. What can I say? Admission is $10 per person (ouch) but free after 4 PM on Tuesdays. I think the word free just makes me want to dance and sing…..
Well, that’s the end of this guide to the River Walk. I think I’ve listed every single thing to do at the River Walk that I’ve discovered over the past few times I’ve visited. I really hope you found this guide useful. If you have any more questions, feel free to email me at [email protected]. I’d love to hear from you! Chow!